New characters confirmed in latest issue of Ultra Jump. 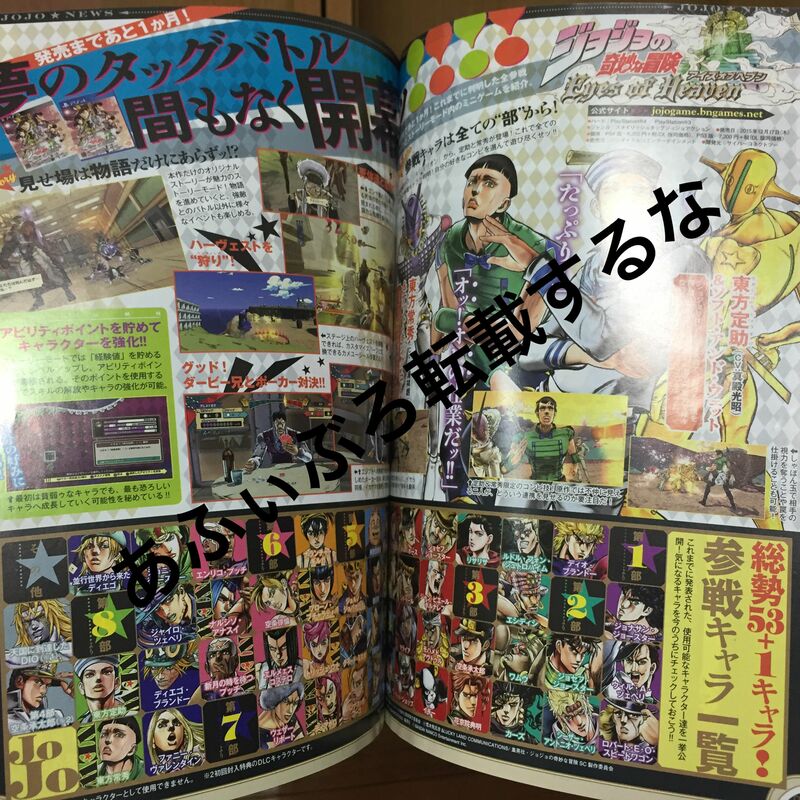 The latest issue of Ultra Jump confirms four new characters set to appear in JoJo’s Bizarre Adventure Eyes of Heaven. JoJo’s Bizarre Adventure: Eyes of Heaven is due out for PlayStation 4 and PlayStation 3 in Japan on December 17.